Mineral therapy has been employed for decades as a gentle, safe intervention for a range of clinical applications. In particular, practitioners turn to mineral therapy as a safe, effective, simple, palatable and cost-effective intervention for childhood illnesses. 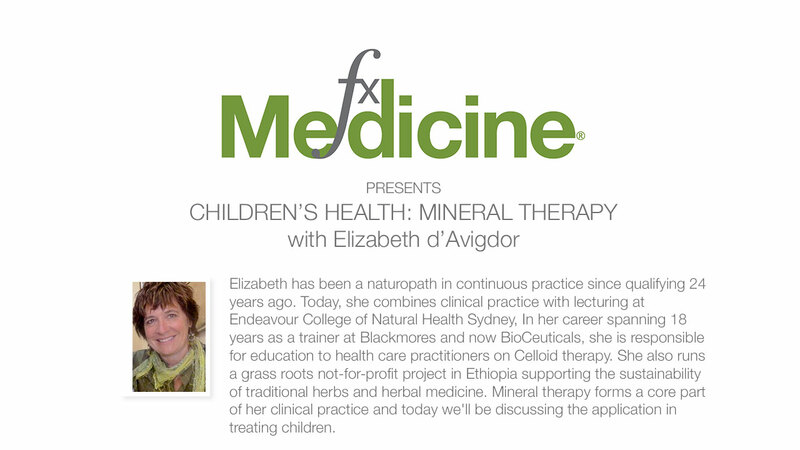 Today we are joined by naturopath, Elizabeth d'Avigdor who has over two decades of clinical experience and is a specialist when it comes to mineral therapy prescribing. 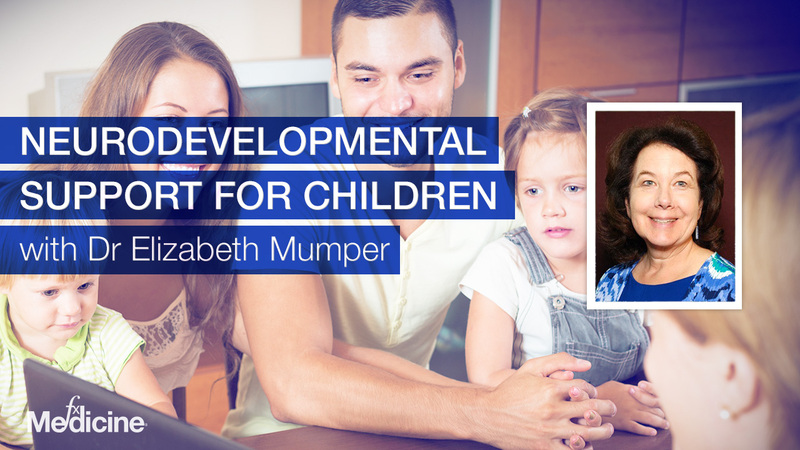 In this interview Elizabeth shares some insights into the clinical assessment of children and provides some examples of where mineral therapy can be appropriate. Elizabeth also discusses her work in Ethiopia doing herbal medicine research, which has grown into an ongoing passion project documenting, and growing local herbal medicines. [09:14] Why mineral therapy is an ideal choice for children? [14:19] What actually is mineral therapy? [29:25] Is there any evidence? [32:54] Caveats and safety issues to be aware of? Andrew: This is FX Medicine, I'm Andrew Whitfield-Cook. Joining us in the studio today is Elizabeth d'Avigdor. Elizabeth has been a naturopath in continuous practice since qualifying 24 years ago. Today, she combines clinical practice with lecturing at Endeavour College of Natural Health in Sydney. 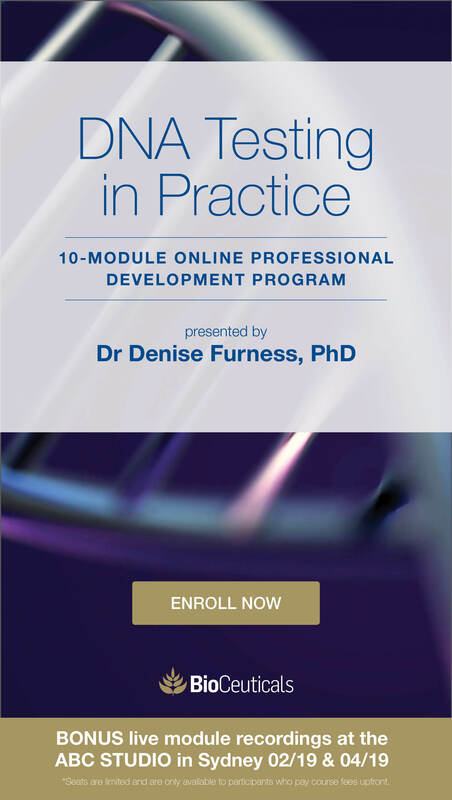 In her career, spanning 18 years as a trainer at Blackmores and now BioCeuticals, she's responsible for education to healthcare practitioners on celloid mineral therapy. She also runs a grassroots not-for-profit project in Ethiopia, supporting the sustainability of traditional herbs and herbal medicine. Mineral therapy forms a core part of her clinical practice, and today we'll be discussing the application of treating children. Welcome to FX Medicine, Elizabeth. How are you? Elizabeth: Thank you, Andrew. Pleasure to be here. Andrew: Now, first of all, your career in research really interests me because it's sprouted something from that. Can you take our listeners through what aspects of research in Ethiopia you did and what's happened since then? Elizabeth: Well, that research project was part of my master's degree with Southern Cross University. So with the support of my supervisor, Hans Wohlmuth, I partnered with Addis Ababa University and the Ethiopian Institute of Biodiversity. To find out what the story was with traditional medicine practices in Ethiopia, whether they're still in touch with their herbal medicine, whether it's risk of loss, both the knowledge and the plants. So that took me off to Ethiopia and I got together with a research group of herbalists and local householders in a rural town north of Addis Ababa, about two hours north of Addis Ababa. And we had great discussions and what grew from that was this project. Because once we'd finished the research, I asked them whether they were happy to leave it at that or whether they wanted to take a little bit further and perhaps form a group and continue to support the dissemination of their knowledge. And they were very happy to do that. So now several years down the track, that group is going very strong. The local council, because of their efforts with their household gardens, gave them a plot of municipal land, which is now a display garden. So there's something like 67 documented herbal species in that garden. Elizabeth: And we managed to give them some local training in permaculture to add to their skills and also some business skills training. So and now they’re beekeeping, so they're well on their way. So I guess next steps is where I'm at now as to where, whether we try and replicate this project elsewhere, but there's good support for it. This I might just add, was funded by Blackmores and The Blackmore Foundation. Andrew: Yeah. So I've got to ask here about the intertwining of culture and medicine. When you look at traditional cultures, every single one, and I have not looked into the Inuit culture, but every single one that I've ever looked into on earth is intrinsically linked to herbal, mainly, medicine. And that's not just humans, that's animals. Like elephants will go into a pitch-black cave to scrape with their tusks the side of the caves to access mineral salts because their diet is inefficient. I mean, that's mineral therapy. Elizabeth: Right. So you're saying there's an instinct part of this as well as observation. Andrew: ...whether it's a learned behaviour. But it's passed on as something that works. Now we're I’m going here is the cultural aspect. It seems like there's an…where you've got a link with your culture, it's accepted by the government. Maybe there's also the fact that pharmaceutical medicines in these communities might be extraordinarily expensive. Elizabeth: There's another aspect here and that is suspicion. So, there is the oral tradition, which is an oral evidence for hundreds and beyond, hundreds of years and beyond. And the householders are well used to using their herbs from an observational point of view with their children and so on, and with their families. They may not have access to a doctor. I believe that the government is trying to encourage more visits to doctors, but there is a lot of suspicion. So, from a couple of studies that I've seen that there is some effort to perhaps integrate the herbalist knowledge along with the pharmaceutical accessibility as well. So when there's little outreach clinics or the midwife going around visiting, that knowledge gets disseminated a little bit further, too. Andrew: This was seen with the Ebola outbreak too, wasn't it? The suspicion of modern medicine. And so people wouldn't bring out their sick relatives and so, therefore, they were getting treated late...and had a much higher death rate. Andrew: What about the acceptance though of the universities with supporting investigation into the natural medicines? Elizabeth: In Ethiopia? Fantastic. There's this amazingly good work being done. What they're really trying to do, these ethnobotanical surveys everywhere because these plants aren't simply documented. So following on from that, comes the pharmacological investigation of the plants. But for instance, with this little research project, we had a postgraduate student come along and did an ethnobotanical survey beyond the small one that we did of the area. We supported that student to do it. So that was the first ethnobotanical survey of that area. And they're just trying to...their aim is to document as much as possible. So they're at that stage of realising too that there are plants that may not be well documented. And then I imagine that there'll be the pharmacological thing that follows with the investigation of medicinal properties and so on. Andrew: Does the further investigation from a pharmacological perspective put this herb at risk of being overused and being threatened from an ethnobotanical point of view? I guess the pointing question I'm...or the case I'm making here is, what happened with Prunus Africana. It had to get put onto the CITES list because it...I think it was the French showed its use in prostate cancer. And it became so popular that the land was basically raped of this and it was threatened. Elizabeth: I think I came across that, someone telling me about these trees they were planting, but they were calling them black wood trees and they said for properties relating to prostate cancer. Look, yes, Andrew, it's a concern, and needs to probably be written into the template of any project such as this, that there's an awareness of how this is going to be used. Whether there's going to be a huge emphasis on one particular species and then that puts other species at risk. One thing that the group said...this was a female householder in the group, said that she was very concerned about, because I was also interested to know their awareness of the climate change or impact of the environment. Elizabeth: And she, and the herbalist both said, "There were herbs that used to be outside our back door that we now have to travel maybe for one or two days to go and find. They're not growing locally." And certainly, I'm aware of the danger of promoting or trying to even make links to market for this group with particular herbs, whether they're going to suddenly focus on all these herbs at the expense of others. So yes, it's a delicate thing and I think it needs to be written into any template, some kind of acknowledgment of this. Andrew: It’s something, you know, we all like the new best thing and something that's got evidence, but we, I think, particularly with herbs, we need to be mindful of continuance of therapy and availability. Elizabeth: And incredibly respectful of the cultural boundaries in different countries. Andrew: Very well done. So, onto cell salt mineral therapy. Andrew: Another passion of yours. So, tell us about some of the issues that you see around treating children. I guess we're going to be concentrating on treating children with cell salt mineral therapy. Elizabeth: I do find the mineral therapy as a modality, incredibly useful for addressing childhood issues. I have a little bit of difficulty with the whole concept of treating a condition because it's very, very contextual. We've got a child comes in and you might have two children come in with very similar diagnoses even, but you might be giving them very different minerals according to that presentation. And that's the case history, taking the observational nature of understanding where that child is and why they got there, how they got there, when it started, all of those questions. So you can end up with a slightly different prescription. Andrew: So you're not treating the condition, you're treating the patient. Elizabeth: You're definitely treating the patient. But the theme that comes through over and over again with using the mineral therapy is that it fits incredibly well with the naturopathic philosophy within that therapeutic order. You know, you're at about level, say three, where you're tonifying weakened systems, I'd say in terms of the therapeutic order. But, for any naturopath, this is a very good first go-to when you want to be least interventionist but most effective. Andrew: So this eases, I've got to say, my concern with particularly childhood diseases, which kids can go off very quick. And you can have something very, very serious happening and they will go off. And you have to act very quickly and responsibly in maintaining the health or getting them to appropriate care. What you're talking about is managing the patient regardless of what the medical diagnoses is. Elizabeth: Because that fits in with first do no harm. You have to apply your naturopathic medical principles first and foremost. And that is you have to have your training and education to recognise a situation, to know your diseases, to know your biochemistry, to know what the likelihood outcomes are. And of course, that applies to every single person that walks into your clinic. Children, as you say, can be quick responders and they can go downhill fast, too, so that's always got to be first and foremost at the background of any situation. But most times, it's not an emergency. And I always talk about these windows of opportunity. And that window of opportunity, the length of time depends on that child's current condition, whether they're in a reasonably, or have been in a reasonably robust state of health too. So you're making all these sort of contextual clinical decisions all the time. Andrew: Yeah. I think, you know, for the totally vast majority of cases, you're relying on the alertness of the parent. And no mother is going to go, "Ah, you know, they're having problems breathing," I'm not taking him that for that." They will go, "Heck, get me to a hospital quick. You don't get a second pair of lungs that easily." Elizabeth: Absolutely. You can be aware of the red flags, it's the red flags you need to be aware of. I really, totally trust what a parent tells me. I believe the parent knows their child the best and we have to listen. Listen to what the parent is saying. Because they've been the observers for every minute, every hour and day of that child's life. Andrew: So what other things would you encourage practitioners to be alert for to override or to add to that alertness of a parent? I guess where I'm going, too, in my head is, you know, devastating disease where you've got peripheral shut down, you've got flesh-eating disease and things like that. You've got meningococcal, so things like meningococcal, let's say, the glass test, this is not an early stage signal, but basically, you put a glass against their skin and add some pressure. Under normal conditions, this will blanch the skin, it whitens, the blood gets pushed out of the capillaries. When you've got peripheral shut down and you've got issues with infection with meningococcal more specifically, it will not blanch. You still have that red stain going underneath the glass, you get them the hell to the hospital, and you alert them to that fact that you've done a glass test. So these sort of real urgent emergent signs and signals, problems breathing, I wouldn't waste time, I'd be saying, "Bypass, go directly to hospital, do not pass, go." Elizabeth: It behooves us to know these things. That's incredibly important. I have to say that it would be incredibly rare to be at that late stage or mid to late stage of a disease coming into my clinic. But it's before that that we've got to know these signs and take the cautious route and share that responsibility with a medical practitioner. Andrew: And now delving into cell salt mineral therapy. What is it? Elizabeth: That's a really huge question. My mind’s going in a million directions as to where I actually start with that. All right. So it is a system of using minerals in particular forms. Maurice Blackmore devised this modality based on the precepts of...and concepts of Schuessler. So Schuessler, as I understand it, worked out that there were 12 minerals left in the human ashe after cremation of the human body. And his idea from that was they must be incredibly important. So those 12 minerals, Maurice Blackmore was looking at and thinking they were in a homeopathic form in Schuessler's time and they still are, but he felt that it was really important that there be a physiological dose of the mineral in the formula in order to address deficiency. And also recognising that in our time, there is an increasing likelihood of deficiency because of either poor diet or environmental issues. And some issues that may not even have been around in previous times. So Maurice elected to remove the twelfth salt, sodium chloride because he felt that that was abundant in diets today and in his time and was probably overused. So moving on from the 11 salts, one of the principles of this therapy is that they are in a particular form. And there we go into the little bit of the biochemistry where there are combinations of a cation and an anion, so we're talking the positive and the negative. And that's really a recognition of the body and its aim to try and maintain this neutral charge in its very homeodynamic way trying to create a homeostasis all the time. And therein lies some of the safety issue as well. 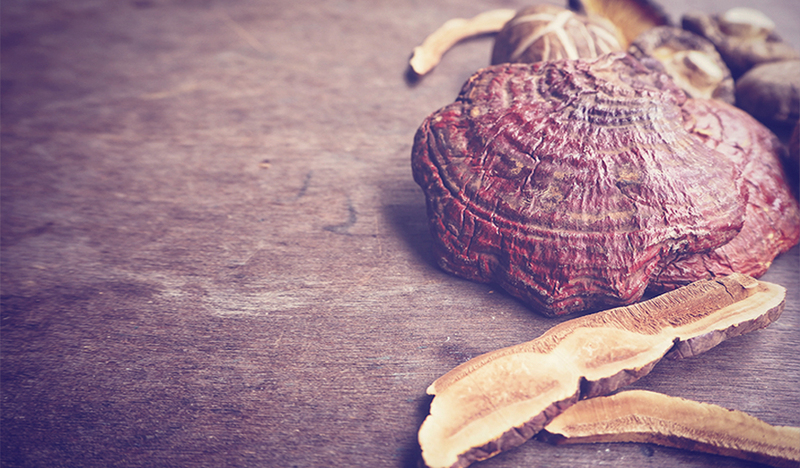 These minerals are very well accepted by the body. These minerals are found in a physiological form in the body. They are not designed to bypass the natural cellular gatekeeping mechanisms, and that's another safety issue with them, too. Andrew: And when we're talking about safety issues, how does this differ from what we would ordinarily use in integrative medicine practice. Using, let's say, you know, if somebody had cramps, you give them magnesium, possibly some calcium, maybe a little bit of potassium. But physiologically for kids, we'd be looking at, you know, 100 milligrams elemental magnesium, and we're taught that we need the bioavailable form, the form that's more readily absorbed. That's our nuance to therapy. How does mineral therapy differ in this way? Elizabeth: There's a place for all of it. Okay. So, in fact, you used the example of magnesium and there may be cases where I would prescribe a different potency form of magnesium as well as the magnesium phosphate in the mineral therapy. And we can go into discussions of exactly where that is if you like. But the one other aspect of the minerals is that we can give them very frequently at small doses and there are...that's abundantly so in acute cases where we want to give a more frequent dose, very low gentle dose, but more frequently rather than a massive great dose, say morning and evening. And you've got all that time in between for the body to sort out what it's going to do. Elizabeth: You may have, you may have. Andrew: ...with a laxative effect as well. Elizabeth: It's, again, got to be completely kept in context of that individual. Andrew: So let's go into the context of the individual. What sort of aspects do you take into account? Their constitution? How well or sick they are? Elizabeth: That definitely relates to observing the child and taking in, certainly into context the history. So the child is going to be demonstrating, in many cases, the deficiency signs. So we're looking at those body signs to help put our picture together of what's going on there. But it has to be also taken into context of the history, the likelihood of perhaps dietary impact on that deficiency or whether the digestion is impacting on that deficiency, so it all has to get taken into account. Andrew: Would you take into account the child's constitution? Elizabeth: Yes. Most definitely. Even from the point of view of whether it's a robust constitution or not, and there are definitely signs we look at which tell us that but also listening to the parent. Well, so when we're talking about the body signs, we're checking the tongue, we're looking at the fingernails, you know, really good indicators, for instance, calcium phosphate in both of those scores. Andrew: Any other tools of assessment, even seemingly unconscious ones that you might employ in assessing that child? Elizabeth: That's a really good term because I think there is a lot of that and perhaps it might be what once was called medical intuition is, in fact, just...it's speaking to something that's built on your knowledge and observational experience. So I think from the moment you hear that person's voice or that child's voice, from the moment you see them in the waiting room, they're bearing, how they're interacting, whether they're shy or not is part of what I'm looking at as well. One of the discussions of calcium phosphate is the child that will suddenly be racing around the room and then suddenly be ducking behind mumma's skirts and very shy when you address them. That would be what we'd call a qualifying symptom. So all of this is part of the picture and it happens from the moment you see them, or hear them. Andrew: The more I learn about cell salt mineral therapy, the more I am impressed by the need for learning about this system. That you can't just go, "It's magnesium and phosphate. I've heard of magnesium and I've heard of phosphate, we'll just give them that." It really is a whole system of medicine based on symptom presentation, based on patient presentation, behaviour presentation. There's a whole host of things that go into it. Not just a little bit of, you know, "a deficiency." Elizabeth: I think it doesn't take too long to learn, it takes a lifetime to master. There's prescribing and then there's refined prescribing. This is where the safety aspect comes in too. Because you're not going to go badly wrong, but you can go much more right, and that just comes with the absolute practice of it. Andrew: So let's talk about what you get right and what you get right in. What sort of conditions do you treat? Elizabeth: Again, I have a bit of a difficulty with that word "conditions." If we're talking children, we could talk about the condition called ‘childhood’ or ‘babyhood’. Because I have to...if it's the closest I come to any sort of formula prescribing, it would be the use of calcium phosphate and magnesium phosphate with children. Because over and over and over again, there's been a demonstrated need in so many of the children that walk into my clinic. The reason for that is, of course, they are growing like crazy and all that calcium, that phosphate, that magnesium is pouring into the musculoskeletal system often at the expense of the nervous system because it's a priority thing. And so you could get a child that a mother comes in and says, "I don't recognise my son anymore." They might be say three, three and a half, and "He's turned from being a placid, happy child to becoming positively aggressive, not sleeping well, suddenly getting picky about food from a reasonably healthy diet. I don't know what's happened." Well, what's usually happened, barring all other indications, is growth. And their nervous system is just crying out for just a little bit more of these minerals to just do their work on the nervous system. And abundantly, primarily calcium phosphate, so often I'm giving it with magnesium phosphate because they're in that state at the time where tension has built up as well. Elizabeth: Yes, that's right, pretty well devoid of anything. And she said...and she was a diet aware mother and it was obviously distressing her and the temperament had changed. And so I did give the calcium phosphate and magnesium phosphate or asked the parent to administer that. She caught me in reception one day as I was sort of passing through and grabbed me by the arm and said, "I want more of those little white pills." And while I don't really want to seem to be a purveyor of little white pills, I have to say that's not an uncommon response just because it's that delightful response you get from someone where need has been filled or deficiency has been filled. And then they don't need to take it all the time, you know. 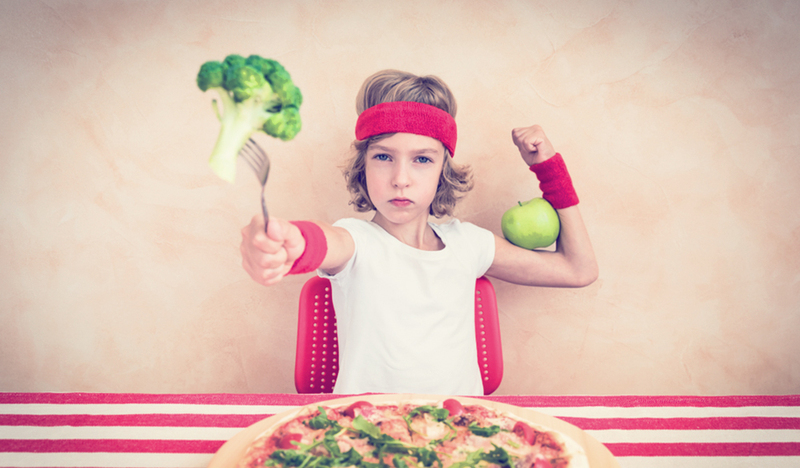 Then certainly, the emphasis can be making sure that it's there in the diet is number one principle. But it's top-up and parents become so proficient at working out when it's needed, and they will get the advice that, you know, times have changed. Just be mindful of this, starting school, you know, when there's extra stress put on the system. This can be a first go-to. Elizabeth: That can become a deficiency. Elizabeth: Because you do what you're supposed to do. You look at the terrain, you look at the environment, you look at...These are all the questions that you would be asking of the parent. Often that sort of thing is volunteered because the parent becomes very aware that this change has come about. They've just started school or they've got a new teacher or they've got some new friends have come onto the scene and so that becomes part of it. But, again, harking back to calcium phosphate and magnesium phosphate, it's actually a good case for supporting with that. Because you're supporting how the nervous system is managing it. It's chewing it up pretty fast and how it's managing it too so it's a prop up and support at that time as well. While, those other...that situation or that terrain is being looked at and addressed in as many ways as it can be. Andrew: You mentioned using, let's say, magnesium together. Highly bioavailable forms of magnesium combined with magnesium phosphate as an adjunctive therapy. What about other therapies that might be used in combination? Herbs, for instance? Elizabeth: Yes, I will if I have to. I mostly find I will always start with the minerals, again, if it's not an emergency. So I start with the minerals. We've got this window of opportunity and then, it's harking back to that therapeutic order again. Then you would go to the herbs which were again, at still at that level of tonifying weakened systems, if you like. So we're still trying to just nourish the system to do what it needs to do. And so it's the least interventionist way. And then if necessary, yes, you go to the herbs in a very managed way. Andrew: And I have to ask this question. I know we're getting off mineral therapy, but let's say from a cultural aspect, teas, herbal teas tended to be very well accepted by, you know, ‘the old generations’, you might have a chamomile tea. But then we have potentially an issue, I don't think a great issue but maybe some, you know, culturally or even religious perspective issues with giving a child alcohol. So a herbal extract made with alcohol. Would you prefer...do you experience any issues, compliance or indeed magical results from employing teas in kids? Elizabeth: I'm a huge fan of teas throughout. Pretty well every prescription will get, I have a little box that extra things people can do. And it may be a first go-to as well because you're looking at, again, that person in the context of their lives. So all of that has to be taken into account and it's the most wonderful thing of naturopathy that we have, all these tools that we can use and choose from according to the context. So yeah, I like using the teas enormously. Andrew: And then we have to address the aspect of compliance. Now, I can still remember my dad, and this was when I used to rubbish natural medicine, I’ve got to say. Andrew: Yeah, oh, yeah. And I remember him giving me these little tablets. I also remember they were weird. They were a very strange taste to me. But I didn't dislike taking them. Elizabeth: Are we talking the mineral therapy here? Elizabeth: Because that sounds like potassium chloride and iron phosphate. Maybe you were getting a little fluey thing. Andrew: Maybe. But I do remember this feeling of them having benefit. And I know that sounds so weird and open to conjecture, I get it. Placebo, let's use the word. But I felt that, dare I use the term, they were doing me good. Elizabeth: You have brought up, I think, an incredibly important point and it is something I've observed. I think children have an incredible intelligence about what is needed and what is meant to be rejected. And I have seen and had parents tell me that they are quite...they have their own ideas about whether the child is going to accept something or not and can be incredibly surprised that a child will almost ask for certain things at certain times. Now, back to the calcium phosphate, magnesium phosphate, no issues with that because it actually tastes okay, but I have had...they do know. They do know when they need something. I had a call from a parent who said, "I just have to tell you that I am trying to grind the calcium phosphate, magnesium phosphate on my chopping board and my son has climbed up and is licking it off the chopping board." And I think that there is a wisdom that we can respect there. Andrew: We all like to have evidence because it makes us feel and nice and important and safe and validated. But I've had very good conversations with a man who I respect implicitly about things that are quite weird sometimes to me, and that is things like vitality. Things for which we cannot prove. I am heartened and hearkened to a paper which was published in British Medical Journal by Smith and Pell and it's a randomised controlled trial looking at parachute jumping. So for avoidance of gravitational injury, i.e., jumping out of a plane and avoiding injury, who would like to go into the placebo group? So it was a tongue-in-cheek publication, but it was published in BMJ, I think it was 2003. I'll put that up on the FX Medicine website for anybody who wants to read it, it's a cracker. But it alerts us to the issues of "evidence-based medicine." Sometimes we cannot control for all things. Sometimes we cannot find ‘the one’ thing. Where are we with evidence of mineral therapy? Elizabeth: In terms of clinical research data, we pretty well don't have much at all that I've looked at yet that I think fills the bill, so we're very, very clear on that. We do, of course, hark back to the hundreds of years of traditional and observational evidence, which is valid in its own right. So yes, it would be lovely if we can find...the problem with these minerals and evidence is when I go looking, I very rarely find evidence on, say, potassium phosphate, whereas it'll just be on potassium and you search and search and search through the studies trying to find, well what form? What form of it? What form of it? That's where the big hold is. And we really consider this cation-anion combination incredibly important, the anion is as important as that positive cation in terms of its benefit to the body or its need in the body. So as with all many naturopathic pursuits, we're always looking for that evidence. I think we… I'm detecting an element of certainty around science these days and that bothers me a lot. Because I sincerely believe that if you live your life in the realm of certainty, you're closing the door on possibility. And we don't know enough even from all these wonderful studies which are building incredibly, so a fantastic for our body of knowledge, we have to have this element of, "Great, that's another wonderful piece of the jigsaw puzzle. Let's now…that can lead us a little bit further." So we need research on these areas, most definitely. Elizabeth: Yes, that word bothers me. Andrew: ...the fact changes. The fact that Paracetamol is the most useful first-line intervention for lower back pain is now being questioned. Elizabeth: But we’ve all got to realise that we are going to be questioning everything and that's a good thing. Andrew: So medical dogma is what we really need to fight against. Andrew: Any caveats or safety issues that you might present? Now I guess the only real one here, and even then, I wouldn't think it'd be such an issue as long as the child is eating and that would be things like kidney disease, you know, you can't get rid of a mineral, but even then, these are in such low dose that I'd feel very hard put that it's going to cause an issue as long as they're eating a reasonable diet. Elizabeth: It is, again, all part of the assessment. And it depends on the extent and it depends on that very fine biochemical mix and timing. Elizabeth: Practitioner confidence must come from being able to say, "I don't know," and being able to say, "I'm going to go and look it up." Elizabeth: And definitely, definitely refer. That is a very confident and well-educated practitioner that will do that. And yes, there are caveats. It's that individual assessment. Potassium is another example. Well, potassium is a continuing example. A doctor would be...hear the word potassium and they be thinking something like Slow-K, in terms of medication or prescription. Now Slow-K is something like 600 milligrams of potassium where we're thinking about a tenth of that in a potassium chloride supplement in the mineral therapy. So, if someone were on an ACE inhibitor, for instance, and I want to be mindful of what's going on there, potassium still may be a relevant prescription. You know, the amount is...in one tablet would be about the equivalent of half potato or something like that. So it also depends on whether they are on a potassium restricted diet, would be one of my benchmarks on that. So it has to be judged contextually. Elizabeth: Same answer, Andrew. Same answer. It all has to be taken into account. There may be a need that has to be taken into account. So you've got to know your biochemistry a little bit in that respect. Elizabeth: Truly diagnosed coeliac disease, can I just add in there? I have some issues there, or I'm discovering some issues there. Yes, deficiency relating to restricted diets, too, so you've got to be aware of those possibilities. Andrew: Would you ever employ celloids in retrieving some of the gut based cellular damage from celloid… from coeliac disease? Elizabeth: Most certainly. All you're trying to do all the time is get that person's health up to their optimal. So again, you're going by body signs, deficiencies, what appears to be missing? And they often just match up to what you think should be appropriate for that condition. So for instance, if you feel like their digestion is compromised, you're starting to look at, "Well, what's the strength of the hydrochloric acid in the stomach? Do we need to perhaps be using potassium chloride to contribute some ingredients to that hydrochloric acid, get that fire of digestion going? Is there a systemic over acidity happening? Do we need to sort of support the body to manage that a little bit better with some sodium phosphate?" You know, are these things indicated? And so often the confidence comes in that prescribing because it just matches up all those diagnostic signs match up, with the history. Andrew: What about epilepsy? And we've mentioned previously, infections. Now, very commonly, one of the most common reasons for a visit to…of a child with the parent to a naturopathic physician would be chronic infections. Particularly, you know, the blocked nose, the gluey ears, the bronchitic, asthmatic-type symptomatology. Medically managed. But they're saying, "I don't like this chronicity of it. Can we allay that? Can we alleviate that or abrogate those symptoms?" Andrew: What do you use? Have you ever seen any issues with adjunctive use with pharmaceuticals and celloids? Elizabeth: Not so far in my clinical practice. I would not close the door on that possibility. Simply because we're talking about individuals here. So we might have our knowledge and our biochemistry and all the rest of it, but then there's this little extra little individual aspect that comes into it. We’ve still got to go back to that wonderful question of when did it start? And we've got...especially with these chronic issues, and especially with things like glue ear and thick, thick mucousy stuff. So when did it start leads you to why did it start? And say you're really going back to the beginning to the original insult. So the original insult with children very commonly can be a...of course, there can be genetic components here, but then there's epigenetic components. Why did it switch on? Elizabeth: ...you look at all these...Yes, it certainly is. To all these little trigger factors and so you're removing what we call the disturbing factors. The obstacles to cure. So that again, is that same thing of getting that person's, that child's health up to their optimal and seeing what you're left with. And then seeing what you're left with in a chronic condition has come into play, is how we can help to symptomatically manage that, continuing to strengthen up that robust nature of that child's original health. Which is very likely been their inheritance hopefully. And then also you're managing possibly, with...because you're a bit further down the track and you'd like to be with medications as well. Andrew: Where can practitioners get further education about this? This is obviously something they're going to have to study. Regardless of what their prior learning or competencies are. This is a new branch. They're going to have to learn about these specifically. 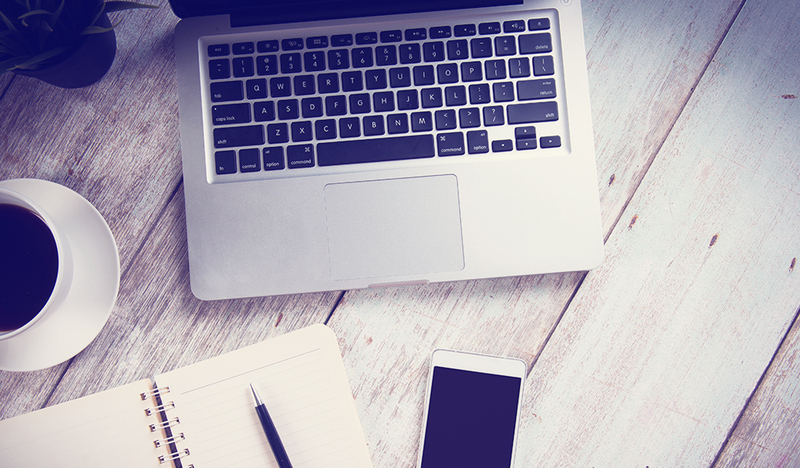 Elizabeth: …for naturopathic practitioners, yes. Elizabeth: Yes, they are. In fact, I'm not sure about today, Andrew, but I did...I was teaching this mineral therapy in London and Brighton and Dublin about seven or eight years ago to the colleges...in the colleges there. 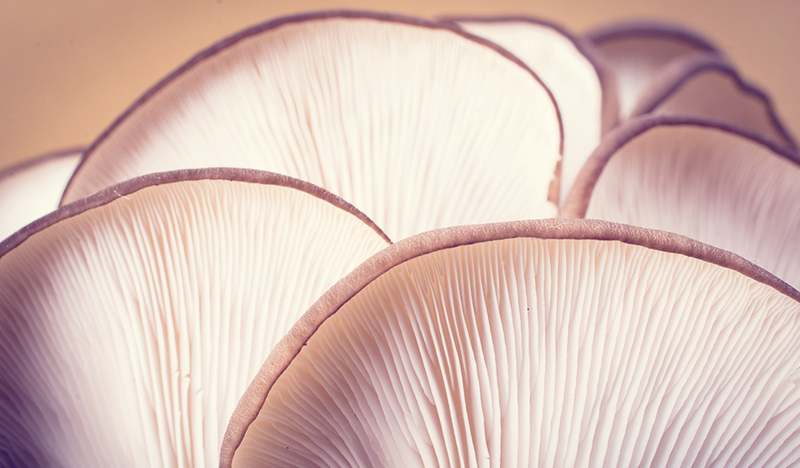 In Europe, it's far more part of the understanding naturopathically to use the minerals. So for some people, it's new, for some people it's really, really not new. It's been around for a very long time since the '30s. Elizabeth: And when you meet a mineral therapy practitioner, they are often people who've used them for a very, very, very long time. I still use them in my practice because I have seen no reason to stop using them. Because they're part of my clinical success with patients and I don't want to walk away from them. So in terms of education, yes, the colleges are teaching to practitioners, so there will be many, many more mineral therapy where practitioners out there. There are courses that are available that you can go to. For instance, the mineral therapy, the Blackmores Professional Mineral Therapy, online course to get a very generic look at how these minerals are functioning and associated with learning the body signs associated with these minerals. Andrew: Can I ask if that involves the text by Alf Jacka? Elizabeth: We have three wonderful textbooks that I still go back to. Elizabeth: I still can't believe that I look at that little brown book, I call it the little brown book, which is Maurice Blackmore's original text. Mineral Deficiencies in Human Cells. And I still find things in there and it must be just the timing, you know, I've got something particular in my mind and I still find something in there. You just mentioned the study about dropping out of the plane and instantly I'm going back to Maurice's words where he could not believe the results of giving potassium sulfate for fear of flying and this person ended up a pilot or whatever. These wonderful sort of extra little tidbits are in there. "Don't give potassium chloride to a married woman of fertile age because she will for sure fall pregnant." Andrew: I think we need to work on that. Elizabeth: Maybe. Well, I do use potassium chloride in those situations. But joking aside, that book and the Alf Jacka book is a very good desk reference. Alf Jacka had inestimable experience with the mineral therapy and each person that has all these years of experience seems to bring something a little bit more to it from their observation. Andrew: I think his questioning mind shines through in the family with his daughter, Felice. Andrew: He's a brilliant researcher. Elizabeth: Lovely to listen to. Elizabeth: Yes. And then there's The Mineral Therapy Prescriber’s Reference which was put together by Paul Callanan and Belinda Faye. And that is actually a very useful mineral textbook because it really goes into these minerals in some detail. So that's a very useful extra support. Andrew: Elizabeth d'Avigdor, thank you so much for enlightening us about your experience with cell salt mineral therapy and also your fantastic work with the herbal medicines of Ethiopia and preserving that sort of, not just culture, but system of medicine for those people to help them in their health. I really applaud you for that. Thank you so much for joining us on FX Medicine today. Elizabeth: Thank you very much, Andrew. It's been a pleasure to be here. d’Avigdor E, Wohlmuth H, Asfaw Z et al. The current status of knowledge of herbal medicinal plants in Fiche, Ethiopia. J.Ehnobiol Ethnomed. 2014; 10:38.